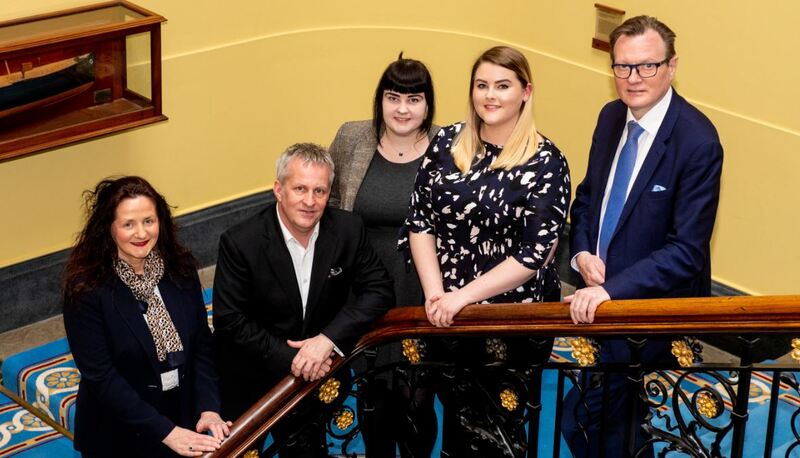 A joint collaboration between Queen’s and Ulster University – the Science Shop – which supports hundreds of community groups across Northern Ireland, today (Wednesday 20 February) celebrated its 30th anniversary at a special event at Belfast Harbour Commissioners. Established in 1988, the Science Shop benefits the community and voluntary sector across the region and is part of the wider European network of Science Shops. It supports community organisations in developing research projects which are carried out by students at Queen’s and UU as part of their degree programme. Kimberley, a Master’s student in (MSc) Counselling Studies and Therapeutic Communication at UU worked in partnership with Foyle Down’s Syndrome Trust in the North West. Kimberley’s project examined the experience of parenting a child with Down syndrome and an evaluation of Foyle Down Syndrome Trust. For more information visit Queen’s Science Shop or UU. Media enquiries to Zara McBrearty at Queen’s Communications Office, telephone: 44 (0)28 9097 3259. Pictured (L-R) are: Kimberley Boyle, Professor Paddy Nixon, Vice-Chancellor and President of Ulster University, Laura Bingham, Ulster University, Helen McGuinness, Queen’s University and Professor Ian Greer, President and Vice-Chancellor of Queen’s.